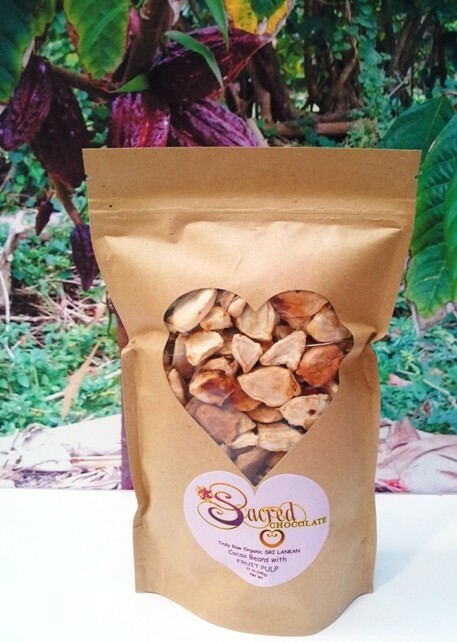 These fruity raw cacao beans from Sri Lanka are unfermented and simply sun dried. The tart, bitter flavor of these fruit pulp covered raw cacao beans is simply amazing! This Sri Lankan bean has an amazing deep purple hue indicative of the intense antioxident content. SPECIAL NOTE: The skin/husk of the cacao bean contains incredible super nutrition, analagous to the skin of a cucumber or orange.